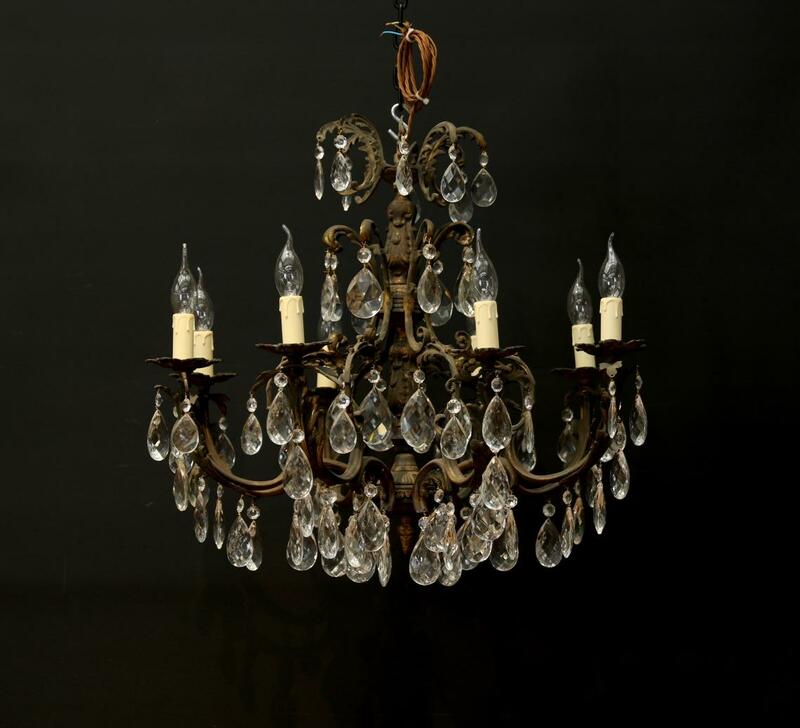 A very nice early 20th century heavy and aged bronze chandelier. 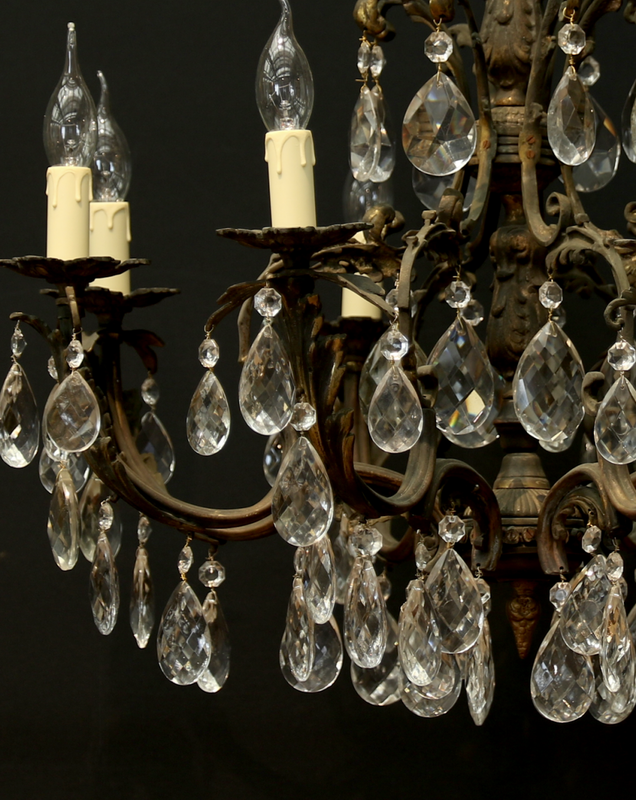 Its eight lights lie in same plane and complement the chandelier's good lead crystals. 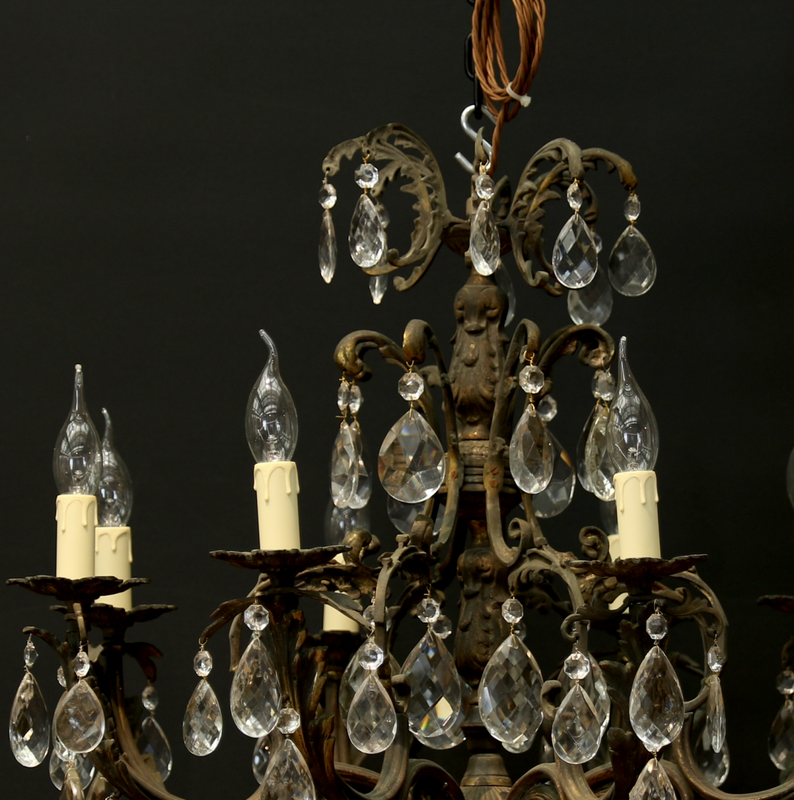 The crystals are arranged in four layers on a heavy brass stem with eight decorative arms holding lighter lead crystals. If you are interested in this piece or would like more details please call us on +64 9 529 1660 or email info@js.co.nz quoting #105-97.